“From jailing children to banning folks based on their religion, this Admin has been criminal from the start,” Ocasio continued. 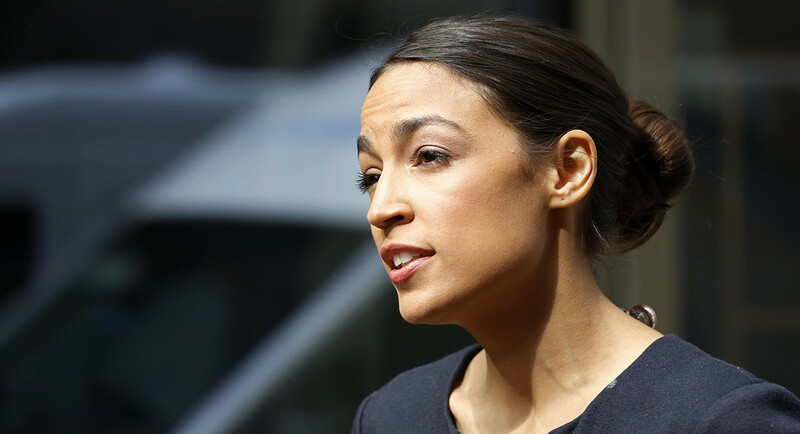 Ocasio-Cortez has been a notable critic of both President Trump and the administration’s broader policies. Part of her campaign platform included advocating for the abolishment of the Immigration and Customs Enforcement (ICE) agency. She also recently sparked a backlash after comparing members of the migrant caravan to Jews fleeing Nazi Germany. THIS CONGRESS PERSON QUALIFIES TO PARTICIPATE IN THE “TENNIS FOR FUN” PROGRAM. WHAT IS THAT? IT IS A FREE WEEKLY TENNIS CLINIC FOR SPECIAL NEEDS PEOPLE IT IS FUN ENTIRELY BY VOLUNTEERS, NO ONE HAS EVER BEEN PAID. 19 YEARS IN EXISTENCE. LEARN MORE AT THANK YOU. Ocasio-Cortez is doing great, if you do not agree, name a person in D.C. that is smarter. Someone needs to remind this special needs congressperson that she works for usa-not the un. this idiot couldn’t pour piss out of a Boot, with the instructions written on the heel. she is going to be a DISASTER when she gets into congress.